It's the news we all dread, but when doctors gave cycling fanatic Nigel Shaddick just months to live he refused to lose hope. Diagnosed with mesothelioma, a deadly asbestos-related cancer, Nigel took matters into his own hands and sourced a pioneering treatment at Edinburgh University. To the amazement of his doctors, the drugs trial proved his saviour with recent scans showing his cancer is receding. Nigel Shaddick is training to take part in his third Etape Loch Ness this April. Nigel's physical fitness - and never giving up on cycling - is credited with being a factor in his positive progress. A former Iron Man and marathon runner, he's now set his sights on completing this year's Etape Loch Ness - the third time he's taken part in the 66-mile sportive. It's remarkable given that three years ago he was facing up to the brutal news that he might have just a year to live. The mobile communications engineer from Culloden, near Inverness, went to his GP after breathing difficulties forced him to give up on an endurance event. He was diagnosed with pneumonia and a scan revealed an even bigger shock, that he had traces of mesothelioma, the deadly asbestos-related cancer, on his lungs. Nigel hopes to follow the Etape by riding Lands End to John O Groats later this year. Nigel (51) said: "I was devastated to be told that I would have 12 months to live, maybe 18 with chemotherapy. "I learned about clinical trials for immunotherapy in Edinburgh and put myself forward for them and for that I am really glad. I would not be here today if I had just left it. "I started in July 2017 with rapidly accelerating stage three cancer, but within two months the tumour had reduced." Almost two years have passed and Nigel is still making fortnightly visits to Edinburgh for the groundbreaking treatment that's prolonging his life and giving him hope for the future. 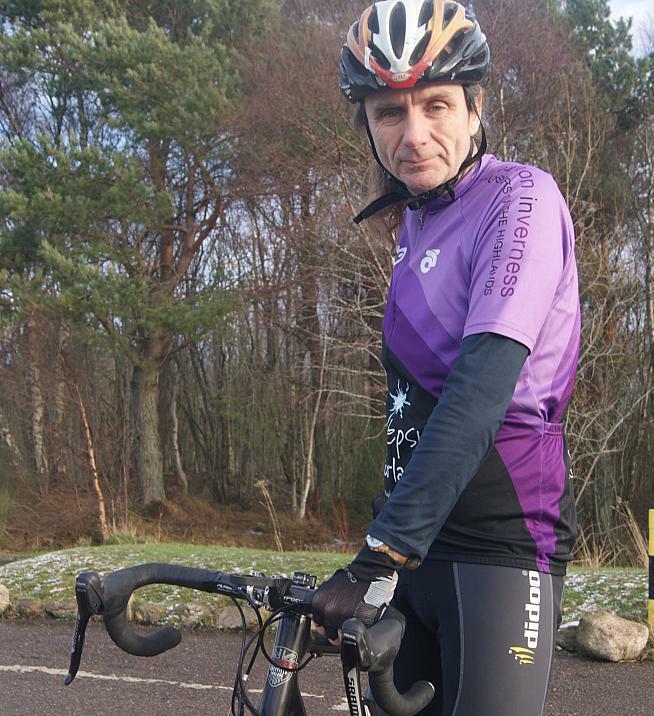 Nigel took part in the last two sportives and, living in the Highlands, he's very familiar with the scenic course and is looking forward to joining around 5,600 riders on a traffic-free route around the shores of Loch Ness. 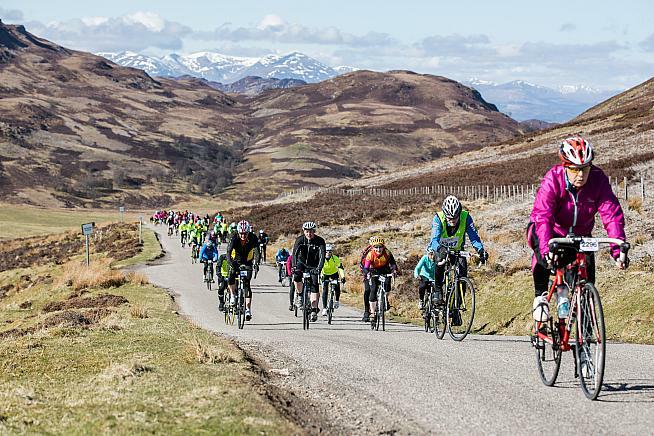 Starting and finishing in Inverness on April 28, participants will cycle through lochside villages, past historic Urquhart Castle and take on one of Scotland's best-know hill climbs. Cyclists will be timed over the King of the Mountain stage - a 4.8-mile climb which starts as they leave Fort Augustus and rises to 380m in height at the Glendoe Summit. Etape Loch Ness will form part of Nigel's training for a completely difficult cycle challenge - he will be part of a team of cyclists riding from Lands End to John O Groats later this year for the charity Erase Meso. "Endurance sports were my hobby, and I'd done Iron Man, ultra-marathon running and a I'd always been fit and healthy. I cycle every day and my symptoms are at bay so I just have to wait and see. "I'll never be able to compete like I used to but now it's more about living life, being as fit as I can and also helping raise funds to find a cure for mesothelioma. "There's too much negativity around it, so this is about trying to be positive and placing a focus on research to find a cure for the disease. "When people are diagnosed with cancer, they may feel like they are just clutching at straws, like I did. But my experience shows, never give up hope." General entries for Etape Loch Ness were snapped within a few hours of going on sale, but there are a limited number of places still available for riders who pledge to raise a minimum of £100 for official charity partner, Macmillan Cancer Support. For more information about the event, visit www.etapelochness.com.